Ben Baptist was inspired by Dave Burgess, the writer of Teach like a Pirate who presented on waiver day, to use brackets in his classroom during March Madness to review rhetorical terms in his AP Language courses. Here is a link to create bracket handouts for students. On the day of the final four, Baptist had a “four corners” debate. Students were instructed to choose one of the four terms of choice and go to that corner. Then, after five minutes of preparation, they engaged in an informal debate over the merits of their term where students participated in the discussion by raising hands and each side could speak at any point. At halftime, groups were given a second five minute planning period. In one class, the groups were split fairly evenly on four sides, but students were allowed to change positions during the discussion, which eventually led to one side’s imminent demise. 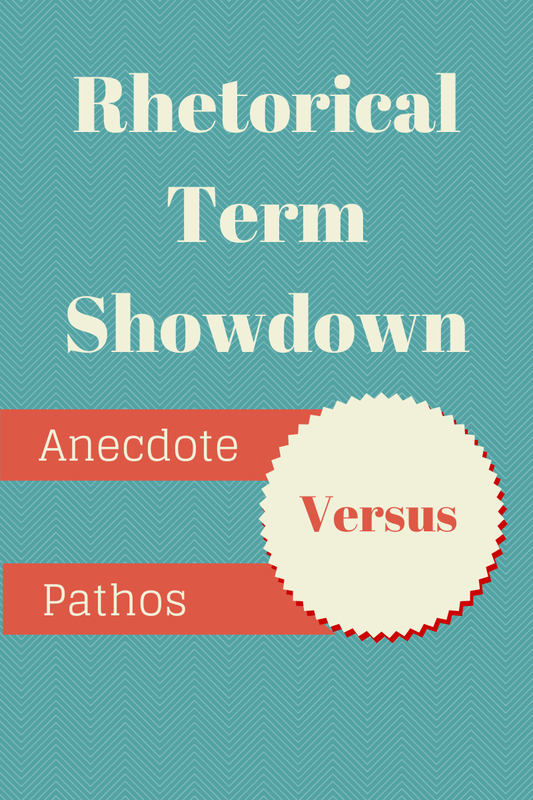 The second class began the debate with almost all students on the side of pathos and anecdote and only two students each in ethos and logos. However, the two small teams presented strong arguments and kept up the lively discussion. Baptist texted students the winner after tallying the votes, and on the Monday following the four-corners debate, we introduced the final two debate. Each of the classes did a good job of thinking quickly, using examples to support their points, and making sure to refute the opposition’s side. Keeping in mind that this was an improvisational activity, in most cases each round got better as students became more comfortable with the process. However, the standout moment of the debates for me was when a student in third period on the anecdote side began the opening speeches with an anecdote about seeing Lightning Grader (Baptist’s superhero alter ego) on the announcements wishing another teacher happy birthday, and how the power of this anecdote would be what he would use to encourage other students to take AP Language and Composition next year. This process and lesson were great examples of the energy brought to the classroom when teachers collaborate with one another and actively engage students in the learning process. Baptist and I had as much fun participating as the students, and we are looking forward to another “March Madness Rhetorical Match Up” (my own phrasing) next year.